X-Press Magazine – Entertainment in Perth – RUSSIAN DOLL gets 9/10 Is this the best new TV show of 2019? RUSSIAN DOLL gets 9/10 Is this the best new TV show of 2019? We might be a bit late to Nadia’s birthday party with this one, but if there’s one thing Russian Doll encourages, it’s certainly second chances… and third, and fourth… you(‘ll) get it. It’s Groundhog Day again, but each iteration of what has certainly become a genre in its own right has brought something new to the party. Russian Doll might be the pinnacle of this, as the series opens up the now classic tale in new and unexpected ways. Nadia (Natasha Lyonne, Orange is the New Black) might not be enjoying life, but she certainly approaches it with gusto. However, when she is killed on the night of her birthday party, she finds the whole sequence of events repeating, and she wakes up once more in her friend’s bizarre art piece of a bathroom only to go through things again. It’s not until she’s plummeting to her death in a catastrophic elevator crash that she meets Alan (Charlie Barnett), and Nadia’s life (and numerous deaths) take a turn for the strange. What starts off as Groundhog Day but with a New York arts scene twist, quickly evolves into something unique and complicated in its own right. 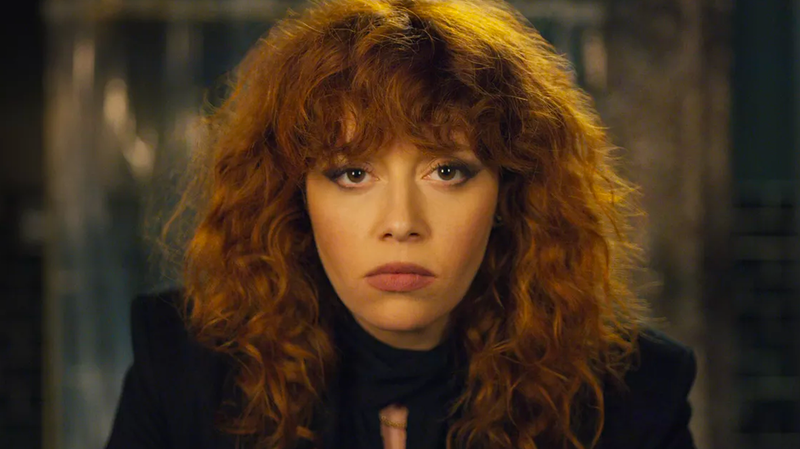 Russian Doll rapidly moves out from the shadow of Harold Ramis’ influential comedy to expose a richer seam of human drama that it is mining. Whereas Murray struggles mainly with the self and his desires for the day (admittedly growing along the way as a person), this series taps into the realms of quantum physics, kabbalistic mysticism, simulated reality hypothesis, social contracts, philosophy and psychology. There’s a lot at play here, and something that can certainly be expanded in the rumored three season arc that the creators are proposing. However, season one serves as a perfect self-contained story in its own right. Without getting too far into spoiler territory here, the key difference (beyond Lyonne’s bravado performance) is the entanglement that exists between Nadia and Alan. Neither is forced to navigate the repetitions by themselves, but to grow and learn from each other. It is ultimately a work that is as much about the community and the connection between others, and that bond of empathy and understanding. Nadia and Alan are close to opposite sides of the coin, the id and the super-ego if you will, and both need to learn to adapt from the other. Hence Russian Doll is able to move further and further away from the Groundhog Day template, as the cosmology of the world they inhabit gets stranger and stranger with each new twist in the series. All of which leads to an emotional and intellectual satisfying end to the season (which really does require multiple viewings to appreciate both the subtleties and the levels of meaning). As mentioned, a goodly proportion of that appeal (and a wild amount of red curls) rests on Lyonne’s shoulders. Abrasive, self centered and wondrously cavalier, it’s impossible to turn your eyes from her, as she careens through life with both gusto and cynicism. Yet she is also able to manage the character as those shields come down, as she gets further into the repetitious cycle that has become her life. As her reflection, Barnett is forced to work harder not to get lost in the mundanity of his role, but manages to bring a spark to the buttoned down Alan. The result is intriguing and moving, as it shifts away from the establishing gimmick, and drills down into the core psyche of the two main characters. Russian Doll is a beautiful piece of self reflection that also seeks to promote empathy in others, all nestled in a darkly comic masterpiece. Not to be missed.